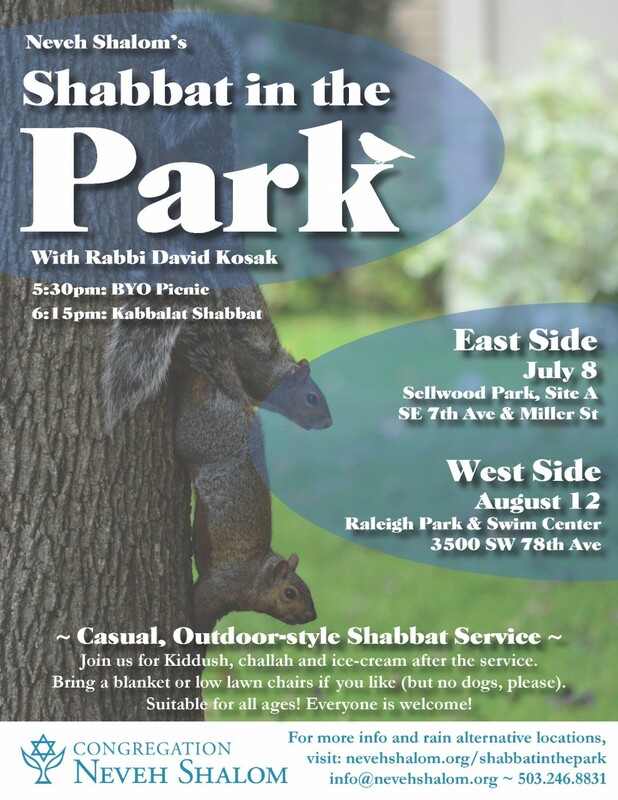 Congregation Neveh Shalom's Rabbi David Kosak will be hosting a Shabbat in the Park this summer on each side of the river. On Friday, July 8th, 5:30pm, meet on the Eastside at Sellwood Park, Site A. The BYO picnic will begin at 5:30pm. Then at 6:15pm everyone will come together for Kabbalat Shabbat. After the service join us for Kiddush, challah and ice cream. Please bring blankets or low lawn chairs to sit on. Suitable for all ages!